The NIC Jails Division's services include training, networks, technical assistance, and information resources, such as documents and DVDs. These services are conducted under five initiatives. We provide training on key elements in jail administration, jail resource management, and building a productive relationship between jail officials and their funding authority. We also sponsor a peer-training network for large jail administrators, including meetings and an online discussion forum. Technical assistance and information resources cover a wide range of jail administration and operational issues. We provide training, technical assistance, and information resources on the design and operation of direct supervision jails and on key elements in managing inmate behavior in all types of jails. These key elements include assessing inmates’ risks and needs (classification), assigning inmates to housing, meeting inmates’ basic needs, setting and conveying behavioral expectations, supervising inmates, and keeping inmates productively occupied. We provide training, technical assistance, and information resources on all phases of new-jail planning. We provide training for jail inspectors, a peer-training network for chief jail inspectors, information resources on standards and inspection, and related technical assistance. We provide training to help local jurisdictions learn the core elements of CITs and assess agency readiness to start a CIT. 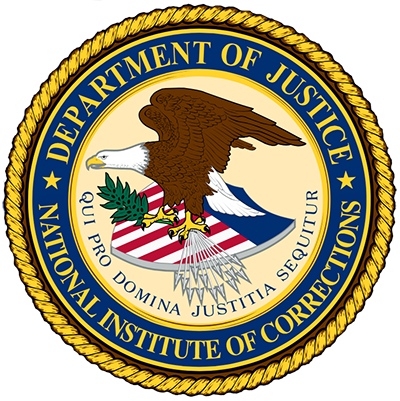 The National Institute of Corrections(NIC) maintains networks for governmental corrections professionals. These professional networks meet to exchange ideas and provide professional development for members. The Large Jail Network is for sheriffs and jail administrators with jails that maintain an ADP of 1,000 or more incarcerated individuals. If you are interested in joining this group, please email Mike Jackson, or call him at 202-616-9565. The network is managed by NIC. Membership is strictly moderated by NIC and discussions in this forum are private and only accessible by other members.